Suffering from those post-Olympic blues? Then how about another awesome HEXUS competition to help see you through? 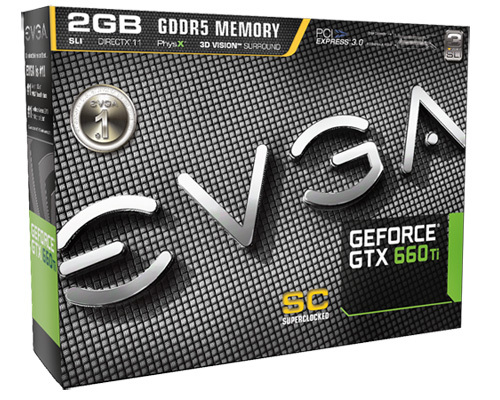 And not just any competition, mind you - this time, we've teamed up with EVGA to give you the chance of winning one of five brand-new GeForce GTX 660 Ti SuperClocked graphics cards! You can read our in-depth review of the card by clicking here, but all you need to know is that it's an awesomely-fast graphics card that makes light work of high-quality, high-definition gaming. Operating at a cool 980MHz and backed by EVGA's three-year warranty, this is a prize that promises to thrill for many years to come. And to provide the greatest amount of flexibility to customers, the EVGA Step-Up® Program allows end users, for one time only, to trade-in their EVGA product and upgrade to a select greater performing product. Want to be in with a chance of winning one of these five amazing prizes? Then answer the simple question below or enter via our dedicated Facebook competition page. And don't forget - you can enter using both methods to get a free second entry and increase your chances of winning! Suffering from those post-Olympic blues? Sweet compo; good luck everyone! Friggin awesome cards, I'm in!